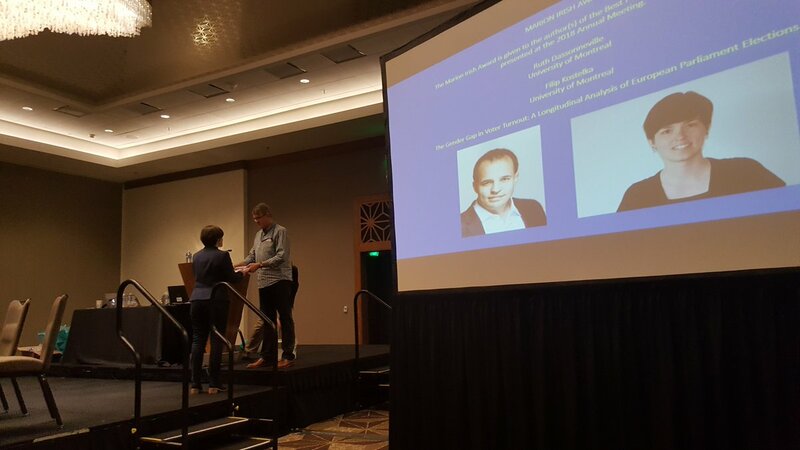 At the 2019 Annual Meeting of the Southern Political Science Association, Ruth Dassonneville and Filip Kostelka were awarded the Marion Irish Award for the best paper on Women and Politics, presented at the 2018 SPSA Meeting. They won the award for their paper ‘The Gender Gap in Voter Turnout: A Longitudinal Analysis of European Parliament Elections’. This content has been updated on 23 January 2019 at 15 h 54 min.